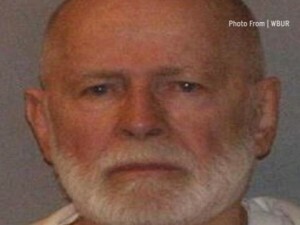 Attorneys for notorious mobster James “Whitey” Bulger plan to appeal his murder and racketeering conviction less than a week after he was sentenced to two life terms in prison, Reuters reports. The brief filing in U.S. District Court in Boston does not list specific objections. But Reuters suggests Bulger’s attorneys may be arguing they were wrongly denied the right to argue that Bulger was granted immunity by the FBI. Posted: 11/21/13 at 9:42 AM under News Story.